Just did this with an Iron too. Lickity Split. 1) Pre-warmed Iron, hottest setting. 2) Placed patch plastic side down, top side facing up, on old pillow case, folded pillow case over top of patch. 3) Place pre heated iron on top of pillow case where patch is. 4) Take iron off and pick a flexible corner to start lifting the plastic back off the patch. I started with 5 minutes, timed, hot iron on the pillow case covered patch. That was enough to soften the plastic but not enough to ease the glue. Another 30 seconds to a minute did the trick and the whole plastic back came off in one motion. I would do the peel slow and steady though in-case all the glue has not loosened yet. So easy, and no water involved. I placed the still hot patch under a heavy book afterward to cool down so the corners don't curl. Stupid questions, but that method is for the patches with thick plastic backing. But most of the repros come with that thin layer of plastic for ironing it on. Do you guys remove that thin layer too (I do and it's a crazy pain in the Arse) or do you iron those patches and then sewing them? I remove the thin plastic with a seam ripper as I like my patches sewed only (you never know if you want to strip it again one day). Are the patches especially on older game worns ironed on and sewed or only sewed? The thin stuff is actually adhesive not plastic. Heat it with an iron and it melts and sticks to the jersey. No need to remove it even if you just sew the patch on only. The patches on gamers are usually heat applied and sewn. Here's a first for me, received a national emblem patch recently that has a sticky back on it like a sticker. No need to heat apply just peel the paper of the back and stick it to the jersey then sew. Very convenient. Thanks TMLFAN! Even if it's quite a hassle, I have the feeling that the patches are a bit more flexible without the adhesive and feel more natural on the jersey if only sewn on. 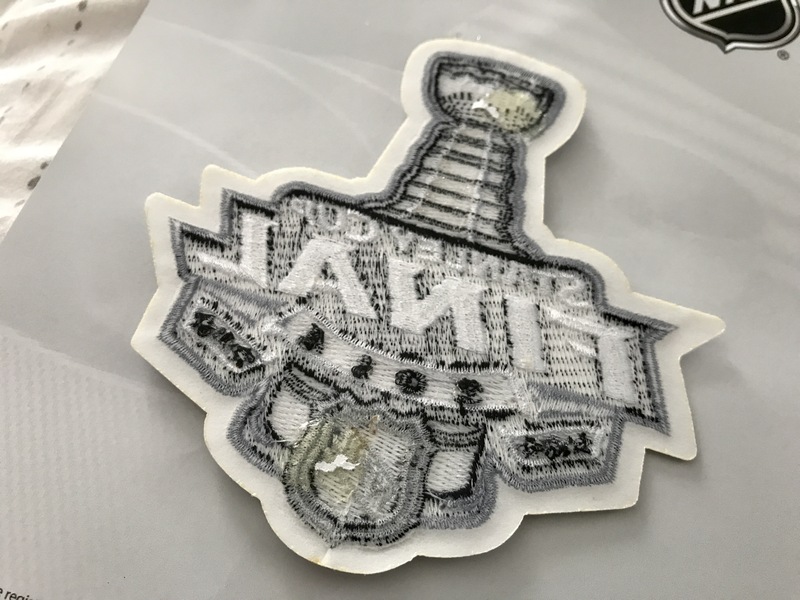 I used the boiling water method for an MLB patch. Worked like a charm 5 minutes to get it off smoothly. I read through these tips earlier today and made my first attempt at removing some backing. Scoring and snapping the backing was a great idea. The iron method didn't work out very well, as the plastic warped before the adhesive let go. So I boiled some water and held the patch front side down in the steam. About a minute of that and the backing pulled right off. You can get it off with an iron too. That's how I do it. I put a shirt over the plastic and just make slow circles with the iron until it's flexible enough to peel off. You will burn your fingers though. It must have something to do with the molecules. I've also found the iron method to be quicker. I still cut the X in the backing first so it's easy to pull off quarter sections of plastic by grabbing the exposed points in the center of the patch. And yeah, grab the plastic with a shirt or something between it and your fingers, or else it's pretty danged hot. I'm not quite sure I know exactly how to identify whether my patch has that plastic backing that needs to be removed or not. Does it usually always have the "Warning" sticker? If you can easily fold it, you're all good. If it's rigid like a credit card, then you have the backing that should come off. i haven't seen/heard anyone with one of those with the hard backing so I'm guessing you're all good. Great advice! I'll remember the credit card analogy. 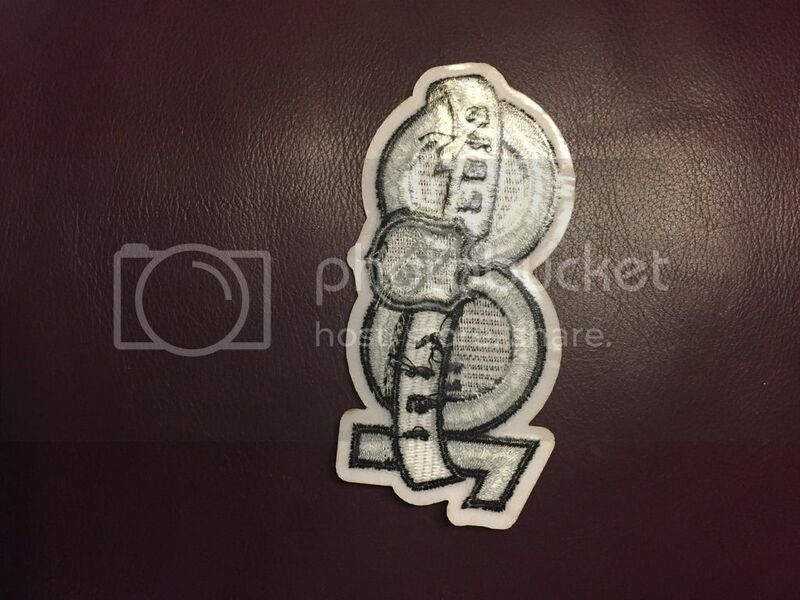 Anyone buy an NE 2014 SCF patch recently? This one is a little stiff, but not credit card stiff. It's totally smooth on the back. Can't feel the stitching underneath like I'd felt in other patches. I'm guessing it's good to go? No backing removal necessary? That one is good to go, you could peel off the little glue balls they used to stick it to the packaging though. Otherwise they'd be visible from inside the jersey, not like that would make a stitch of difference. not like that would make a stitch of difference.